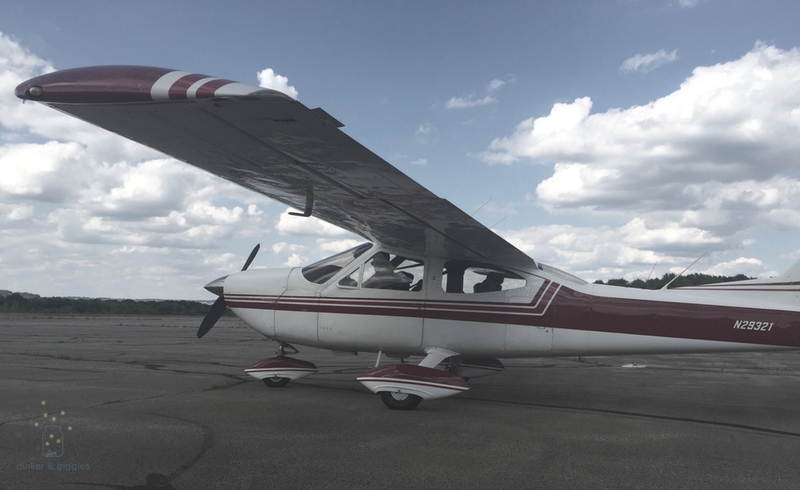 Recently, my father flew his airplane into town and treated part of my family for my birthday. I purposely didn’t take the older ones. I wanted a special evening out with just the littles. It was a lovely meal. 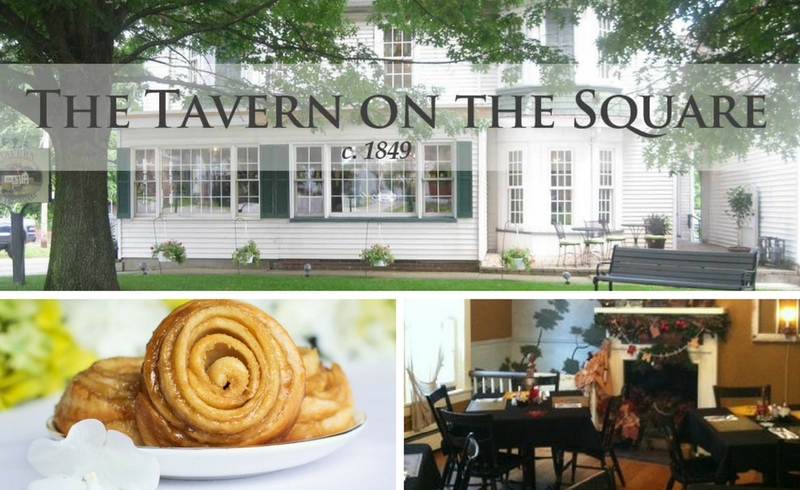 The restaurant was once part of The Underground Railroad! They have the most interesting menu I’ve read in a long time with two pages dedicated to the history of the building. Did you know that often people would hide under the staircases? In this particular building, they had a board that they would lift up to pass food down to the people seeking safe passage. And…this place has the most scrumdiddlyumptious sticky buns ever. If heaven came on a plate…they are it! This brings us to the squeeeee part. The part where I get that one, special photo that captures a memory I hope to never forget. After our late lunch we headed back to the airport to drop off my dad so he could fly home. A few tilts of his noggin’, bats of the eyes, and a sweet “pleeez, can we ride in your plane grandpa?” and Tucker has ultimately won the case. They walked around the aircraft as grandpa did his checks. Hopped into their seats and each placed a too-big-but-they-just-dont-care pair of headphones over their heads. Buckled their belts tight. Smiles stretched across their faces. I’m still surprised they didn’t crack their lips they were grinning so big. I got out my phone (as any mom in my position would do) and snapped a few dozen photos more than I needed to. I love how my youngest’s expresses himself. His grin that fills your heart with joy. The way he uses his entire body to say how he is feeling. That he has absolutely no fear. How he takes on life with a full force that, as an adult, I have a hard time grasping and understanding. There are times I find myself pulling out my phone just to look at the picture of him sitting with the headphones on his head and his fists up to his chest. While it’s only a single photograph, it tells so much. Mr. T getting ready for takeoff. I’ve never understood the expression “a picture is worth a thousand words” until now. As I sit here trying to share this story with you, it’s difficult to find the words. If you know me, then you know that is an unusual thing for me. But there is something about this picture, this moment, that I don’t think there are words in the English language for. I don’t even know what the emotions are. Is it about my jealousy for how full of life he is? Is it about my pride for being a part of raising a kid that is so full force as Mr. T is? I honestly don’t know. All I know is that every time I look at that picture I want to share it with the world. If I have learned anything from this kid during his short five years on earth is to take chances. He does every day and more often than not it finds in his favor. A particular interesting bug. A heart shaped rock. A new dance move. A “best friend ever” after a few minutes of play. Magic in the shapes of clouds. Goodness…when was the last time I’ve just looked at the sky and used my imagination? It’s been far too long. He’s got this living life thing down pat. I hope I never snuff that out of him! 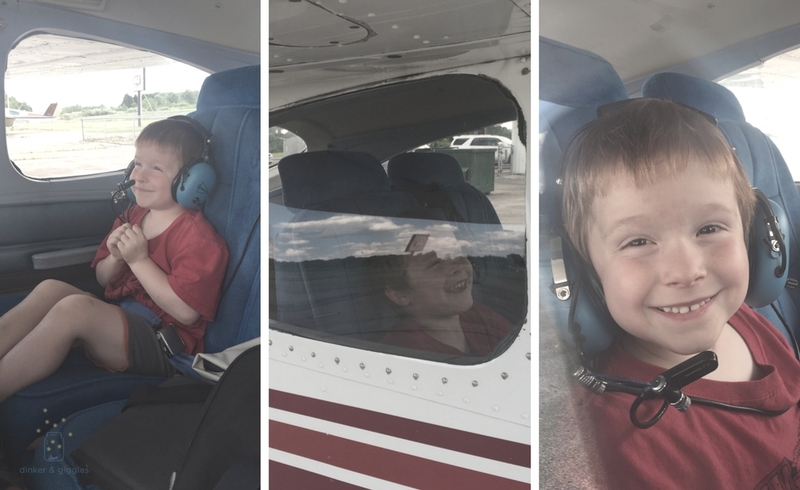 The boys loved their time in grandpa’s plane. While I felt guilty that the older kids didn’t get to go, I’m glad for this special time that the littles had with their grandfather. They got to fly over the city of New Castle, PA and see the park that we had been at earlier from the air. I think my dad enjoyed the time just as much as they did. 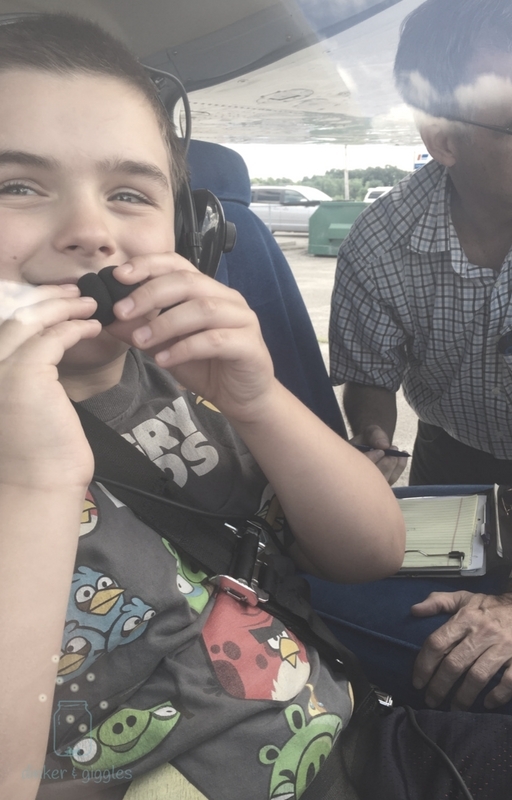 He loves airplanes and talking about them, so to have two willing sponges ready to soak up anything he had to say, even if they didn’t understand a word, was a blessing for him too. Awww. Such cute kids. I hope we can also bond with my nephews and nieces soon. This is indeed a nice read, thanks for this. Time is the most precious commodity. The richest man in the world can never buy another second of his life. I’m glad your grandkids got to enjoy it with you. Thanks for sharing! Those memories will last a lifetime. Who knows if one of your kids will grow up to be a pilot. Those smiles! Yeah! Adventure like this are worth a thousand words. Seeing these kids enjoying their childhood with a big big smile on their face is such a memory to treasure. You are blessed with wonderful kids. Thank you for sharing this post! What a cute smile! Who could deny him anything? 🙂 I have never flown in a plane this small and think it would be a fun adventure! 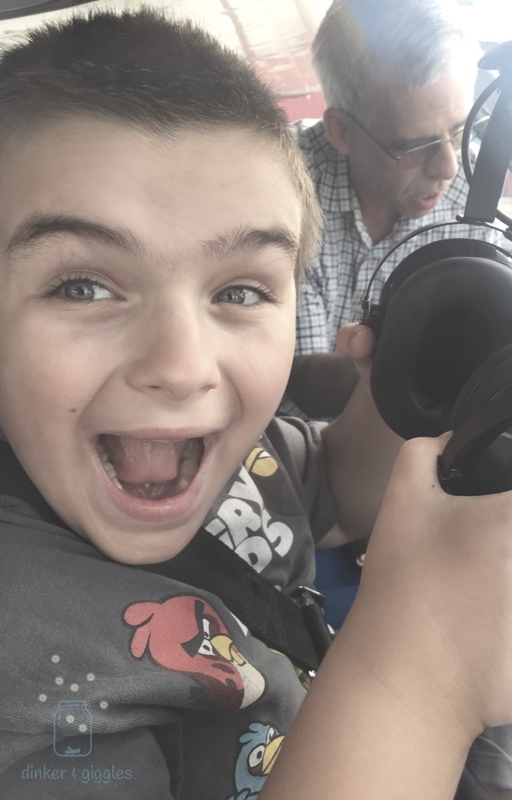 We always travel with the kid and they would love it, too! That looks like so much fun! My daughter would absolutely love to do something like that! 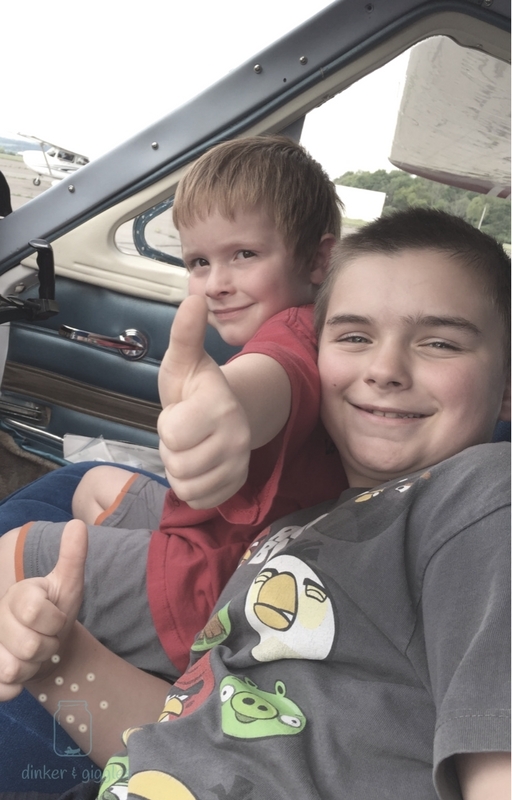 Thanks for sharing your kid’s adventure! Many people don’t know this but look into the areas surrounding you. Look for the small airports that have single engine planes. More than likely you’ll find a number of pilots happy to take you for a ride and even do some lessons! What a special memory! I love the expressions you captured. I have some special memories of flying as well and I’m sure this will stay with your boys forever. I also love that you got such a cool dip into history at that restaurant! I absolutely loved this! Watching kids be in awe of things that we may now, as adults, find trivial brings back so much magic to little every day things! I’m so excited to keep reading about your family’s adventures! What a delightful story! And what blessed little ones! A beautiful memory to treasure… thank you for sharing and more, more, MORE, please! A joy to read! 🙂 Well done, mama!